Ahoy Hoy, as old man Burns would say. Summer (also commonly referred to as ‘study weather’) has officially arrived and boy did we have it good this week. Since Jack last sat on his bony arse to inform you of some glorious Coppers’ insights, there was the small matter of the long weekend. By the time ‘AJ Vs WK’ ding-dinged, Coppers experienced an English takeover, and of course by this stage of the night everyone was suddenly a boxing expert. A chorus of “Watch the left jab, Joshua” and “Kltschko will tire, he’s 41” echoed. Well, Jack has never seen Coppers go so silent as when Joshua hit the floor, a bit like Jack does after a few too many scoops. Joshua came through in the end, in what was a savage night’s craic. One Jack really enjoyed. Off went the TV’s, on came the tunes. Speaking of tunes, Bruno Mars was playing a few of those over the weekend and JTL treated himself to a wee visit to the 3Arena, before returning to Harcourt St for his late night shift. 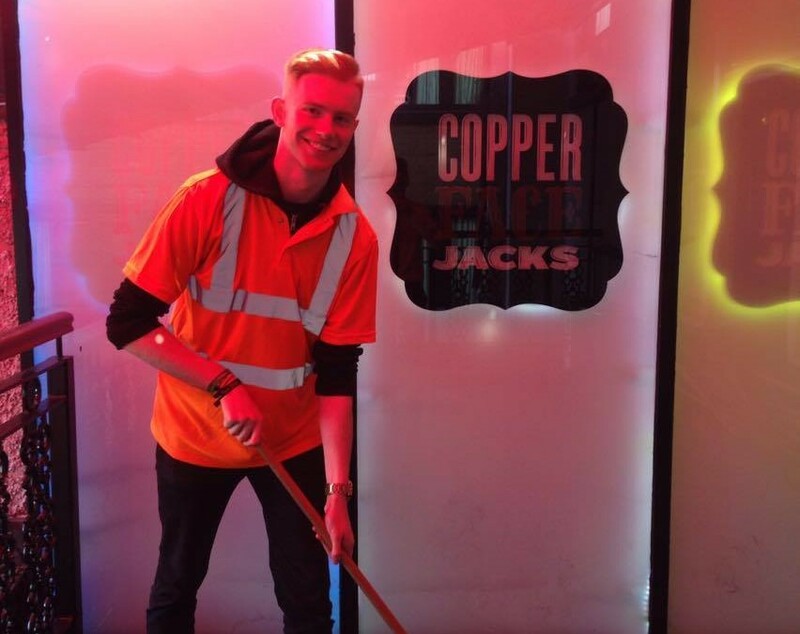 Not the kind of shift you were probably after, but the venue as always in common, Copper Face Jacks! For those of you who read last week’s blog (shame on you if you didn’t), you’ll remember a certain David Strogen’s desperate plea to have his lost gold card reinstated by the Gold Card Embassy. Every single day before we open our doors to the public, our floors are mopped so clean you could eat your dinner off them. *Please do not try this at home*. So, we made a deal. 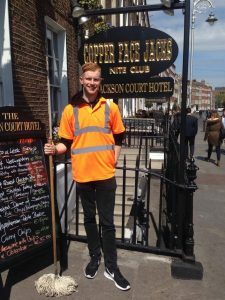 David gives us a hand with some mopping, and Jack promised to talk very nicely to the big wigs at the Gold Card Embassy. 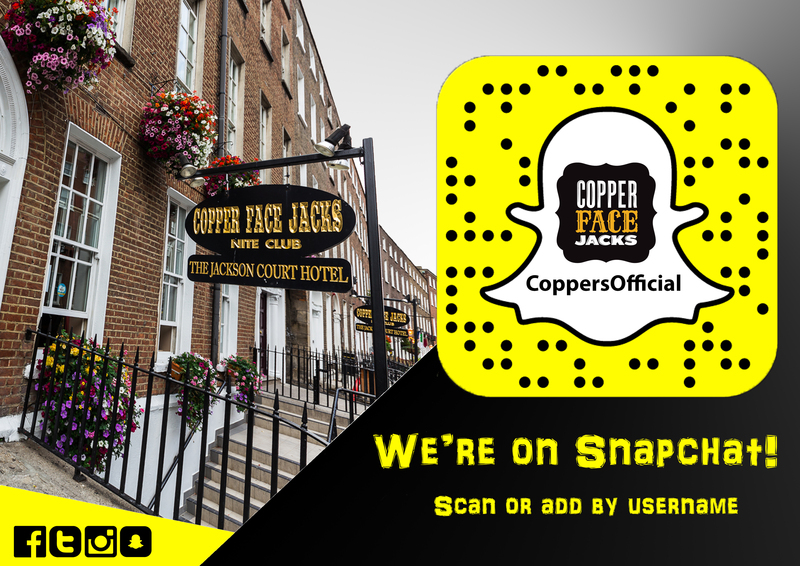 Send your stories Jack’s way, jack@copperfacejacks.ie. Ciao Adios, I’m done, for another week.